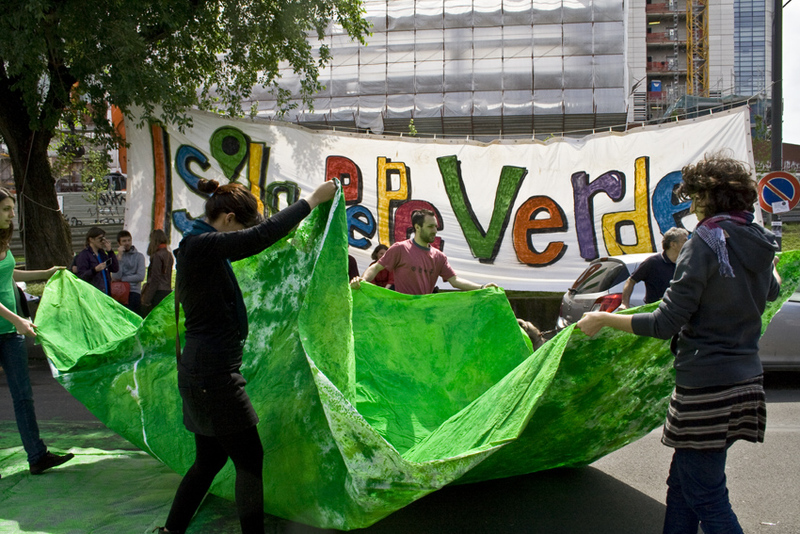 Sunday I was at the festival of Isola Pepe Verde. 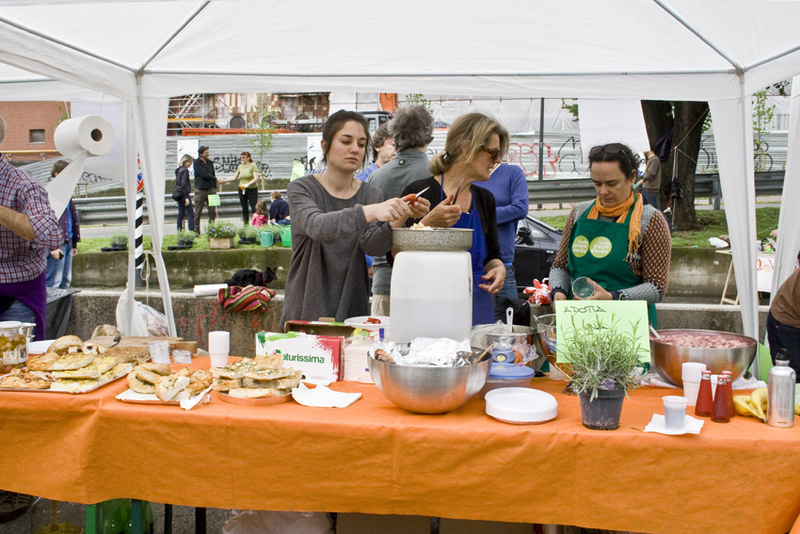 Isola Pepe Verde is an association started by the local community of Isola (a neighbourhood in Milan) to work together in finding a park for the neighbourhood, which is now dominated by construction, skyscrapers and cement. Only a small patch of green remained next to the train and metro station Garibaldi. They have proposed that this strip of green along with the adjacent old parking lot can become a small garden and community centre. This has been quite a difficult project for them as community hardly seems on the minds of the big industries being built around it. 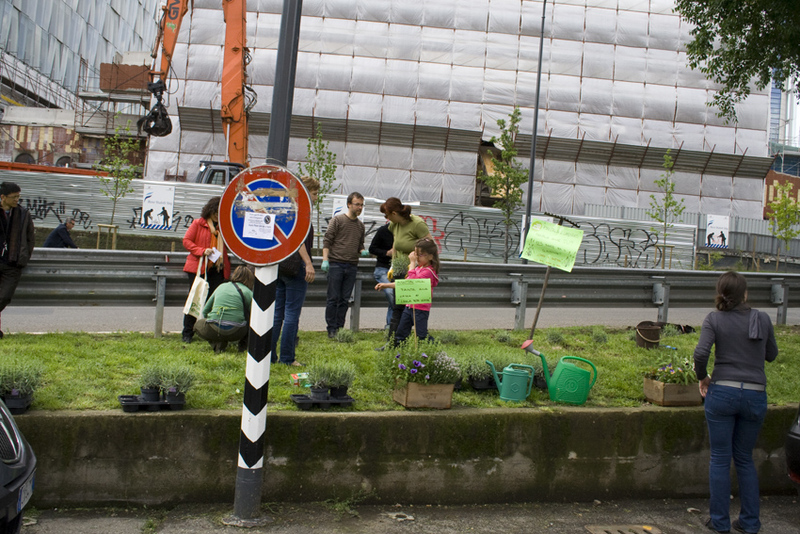 However the municipality of Milan have assigned it to them, and on Sunday they started planting on the green strip. Along with it they had they’re festival which has now become an annual affair. Also see the adjacent project that I was part of here.